Dehradun is a sprawling city with its speckled picturesque places, vedent landscape, temples, picnic spots which enhance its natural beauty. This pictorial place is an ideal hotspot for those who really want to take risks in their life. A wide range of escapades is in offer in this valley. With the enormous places for Paragliding, Skiing, Angling and River Rafting. 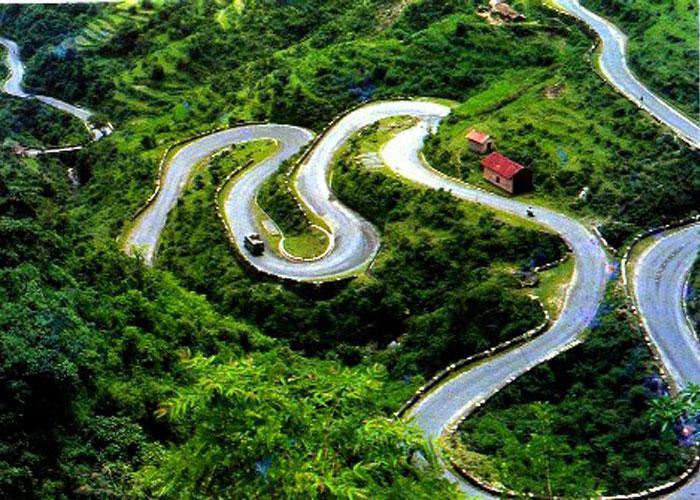 A tour in Dehradun provides one with the unforgtable charisma of impeccable sceneries that would stay with one for a long. It is quite sure that the gushing streams, deep ravines, lustrous valleys and most of all the lofty contoured mountain ranges of this hill way resort would unwittingly holds one’s breath. Mussoorie: It is known as one of the famous hill stations in india, it is located over Himalayas Hills , it has lots of luxury tourist accomodtion and resorts. Sahastradhara: The word sahastradhara means thousands of springs that comes together. It has the water of sulphur spring which is a cure for skin diseases. Forest Research Institute (FRI): It is one of the oldest institute that was developed for the research work in forestry not only in India but all around the world. Malsi Deer Park: It is located at the foothills of Shivalik range. It’s a fascinating picnic spot especially liked by children due to its animal zoo and exciting swings in a park. Robber’s Cave: An exotic picnic spot with a natural cave and a stream of river flowing under you. Tapkeshwar Mahadev Temple: The ancient and famous temple of lord Shiva visited by thousands of devotees all year around. Lachhiwala: It is a famous picnic spot with a freshwater pool to have bath, a park with all sorts of swings here. Buddha Temple: It is situated in Clement Town famous for its beautiful design and interiors which depicts the ancient architecture of Tibet. Sai Mandir: It is situated at Rajpur Road. Shiv Mandir: It is situated along the way to Mussoorie. Rajaji National Park: It is located in Shivalik ranges, possess 23 species of mammals, this place is a must visit for nature lover. Santaura Devi Temple: It is situated in Santaura Garh, this temple is among the devotee. Fun ‘n’ Food Kingdom: It is located in Prem Nagar. It has outstanding water games. Tapovan: It is nestled in dazzling landscape, is extremely popular amongst devotees and picnickers. Chandrabani: It is located in Mohabbewala, famous for Chandrabani Temple and a Kund. The Fun Valley: An amusement park having such features like lazy rivers, multiple water slides, kids pool and water disco. Guru Ram Rai Ji Darbar: It is famous for its wall paintings at the Darbar Sahib, the seat of Guru Ram Rai Ji.